Whoa Nelly…the holiday season is here. Can you believe it? Whoa Nelly…the holiday season is here. the season of entertaining…and we can help! plus take an additional 10% off this weekend! $75 each…regular price $125. 29.5″ H.
and some great consignments have come in, too. This absolutely EXQUISITE bar in solid wood is a STEAL at $1,795. Companion blue leaf art in gold frames, $125 each. Just in on consignment…look at this burl beauty! This MASSIVE king bed retails for $1,785, our price $1,295. Dresser retails for $1,125, our price $795. understand how rich it is. Kilim bench, $165. Another great solid wood score, just $795. Parrot demilune accent cabinet $325. Matching end and coffee table available. We love this solid wood trestle-style console table in black. Check out the beautiful woven seagrass back of the chair……. Look at these gorgeous modern chairs! They are literally stopping people in their tracks, but the photos don’t do them justice. In solid wood with bronze arms, and the backs recline! LOVE, LOVE, LOVE this contemporary olive green loveseat. Absolutely unique. It’s yours for $695, 67″W. A very cool piece for your home or office. Industrial hall tree in heavy iron, $395, 40x22x71.5. Industrial pub table $295, 33.5″ diameter. Adjustable stools retail for $210 each, OUR PRICE $165 each. weekend, so you can buy this set for even less! it really is a room maker. $395. And it’s companion…absolutely stunning in person. We can see it holding court in a sun room or well covered porch. These are SUPER GORGEOUS in person. Set of four framed foliage art priced at $165 each. Come STEAL this desk and chair by quality maker BERNHARDT. Retails for $935, our price just $395. Sleek buffet by TRUMP HOME is yours for just $695. our price $195. In great condition. Colorful KILIM bench retails for $263, OUR PRICE only $165. this won’t last at $165. Beautiful wood/metal coffee table $350. Coordinating pub table $225, 30″ diameter x 40″H. Entertaining a large crowd at Thanksgiving? Come pick up this nice set of four dinner tray tables for $95. 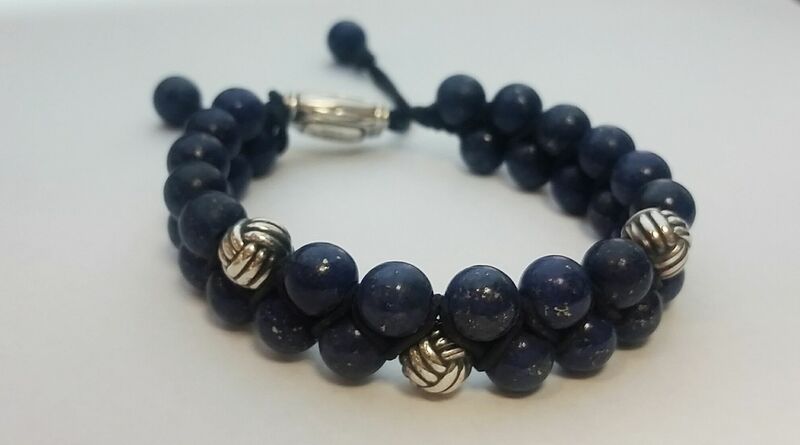 you can shop 24/7 at luminagem.com! 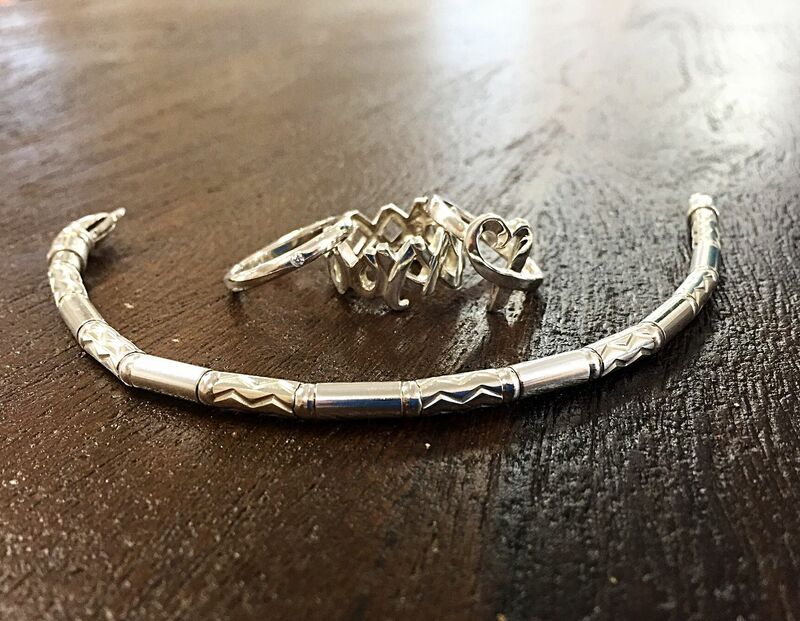 have it wrapped up and waiting for you in the store! 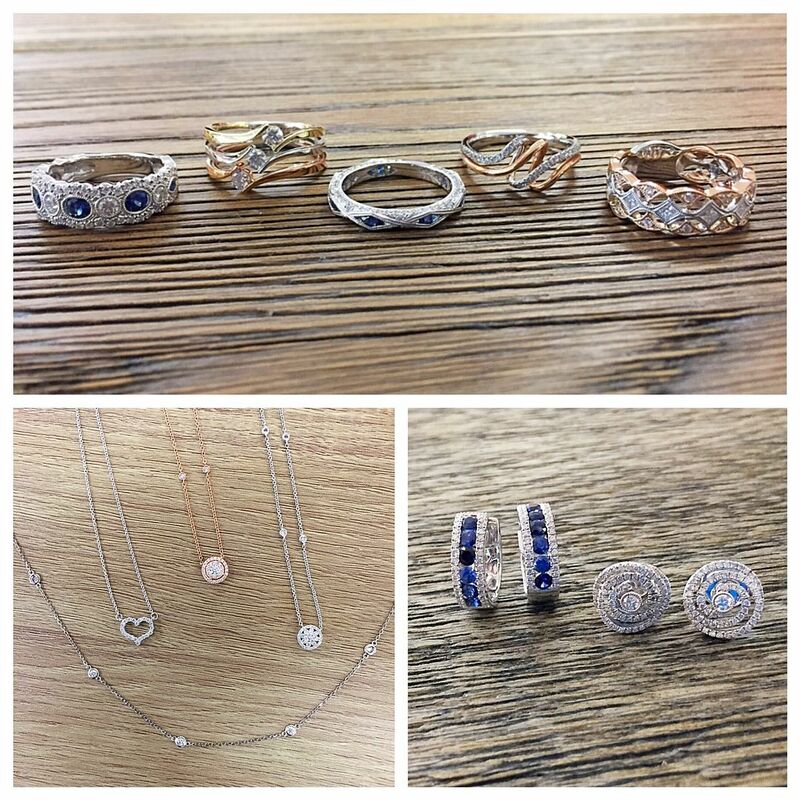 We have so many options for your sweetie. 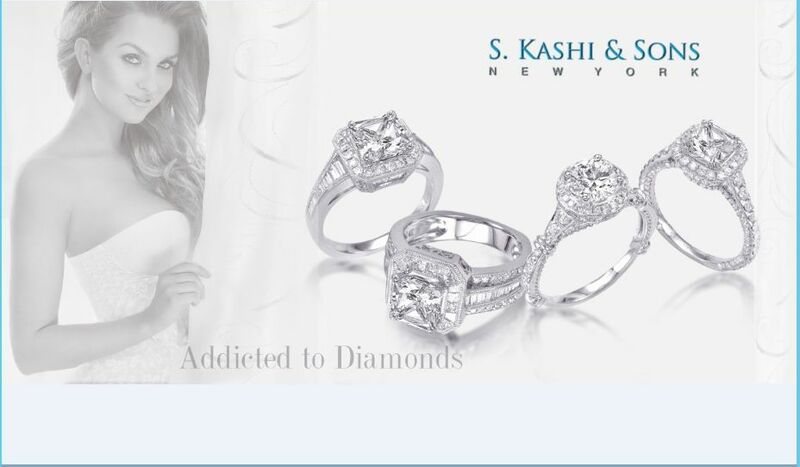 S. Kashi & Sons jewelry pieces on our online store. 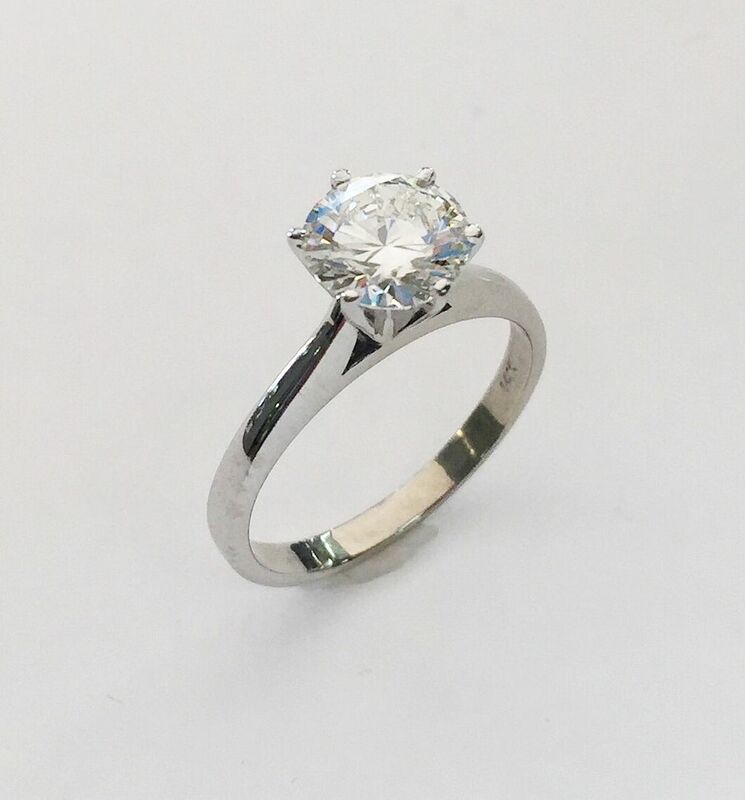 into 18ky and white gold, 7 inches. $9,995. 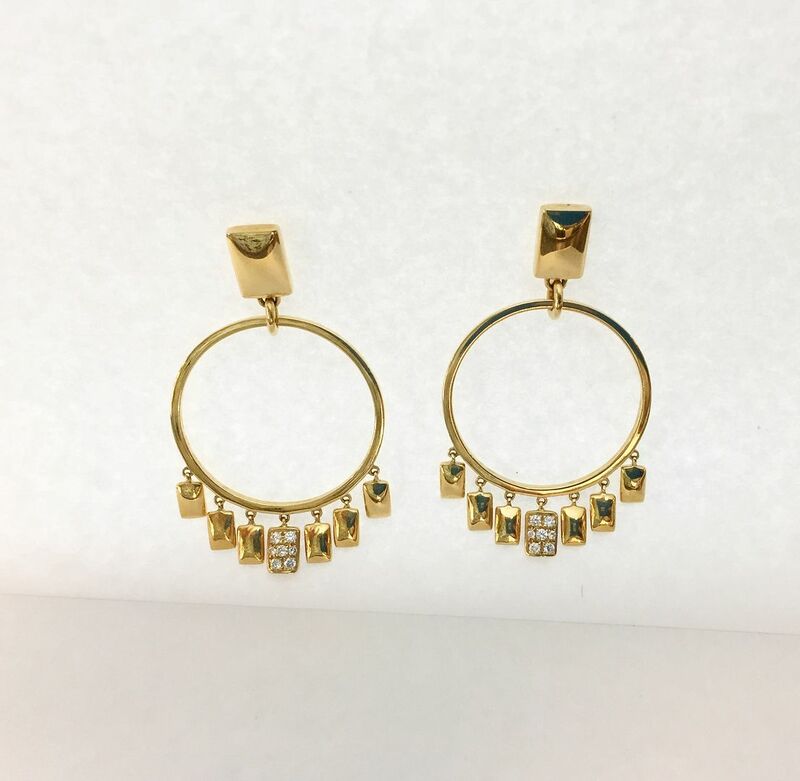 Diamond dangle circle earrings in 18ky gold. Ippolita Rock Candy smoky quartz hoop earrings in 18ky gold. $1,395. 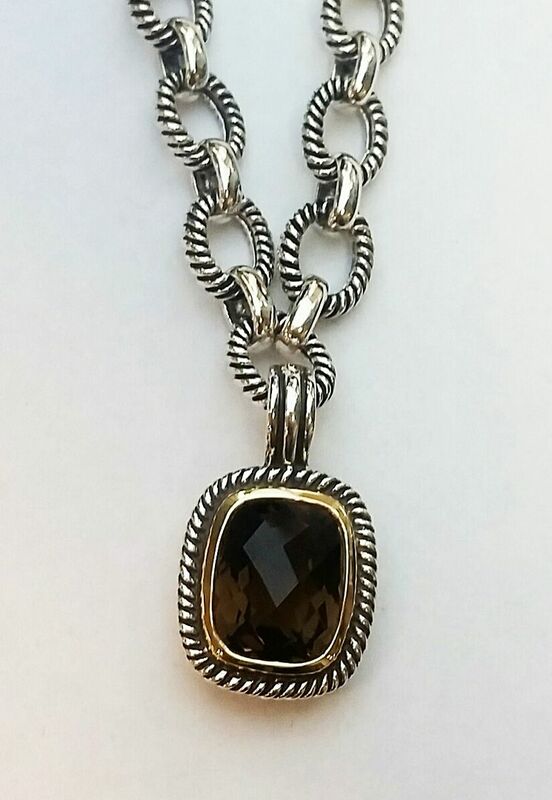 Estate smokey quartz enhancer with sterling silver adjustable toggle chain. $395. 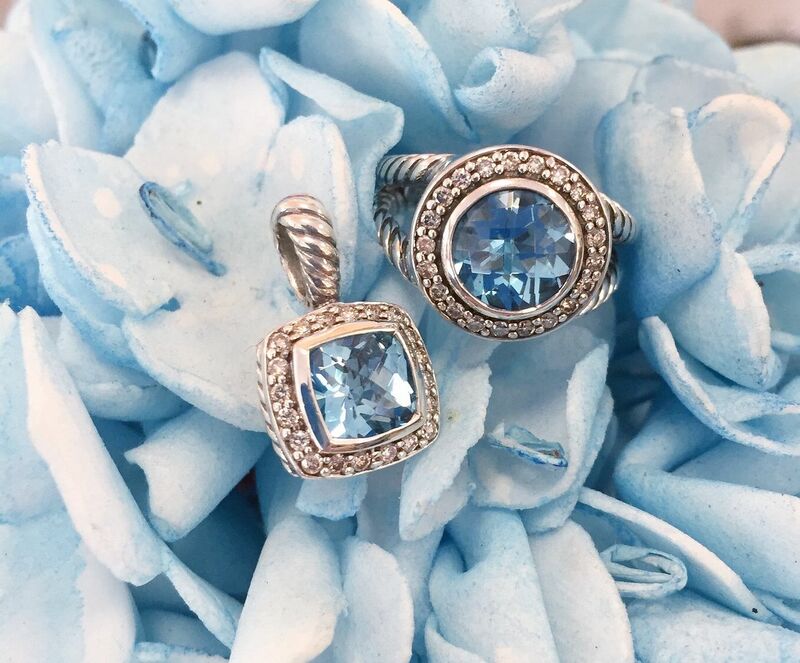 for you to choose from… like this stunning duo. Albion blue topaz diamond ring. $445. Albion blue topaz diamond pendant. $195. Click on this picture to see all on our online store. 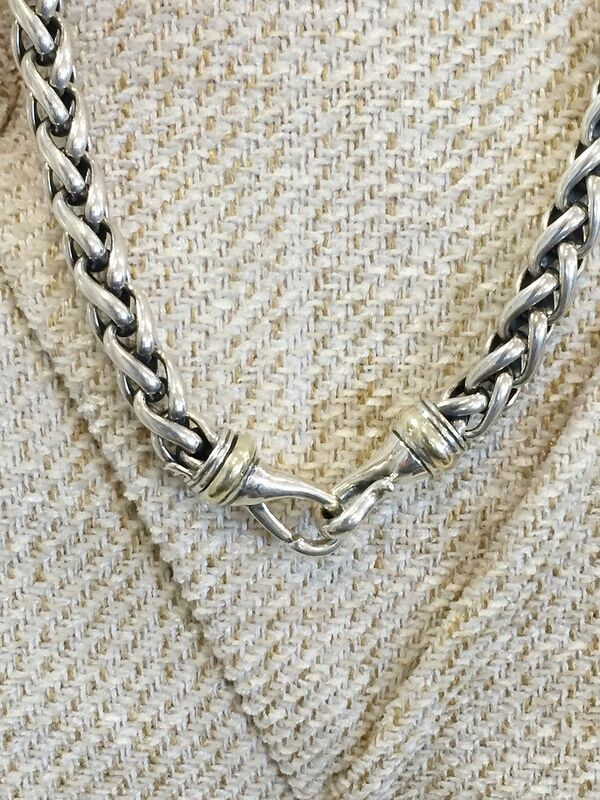 8mm David Yurman classic wheat chain with 14ky gold accents. Retail $1,200. 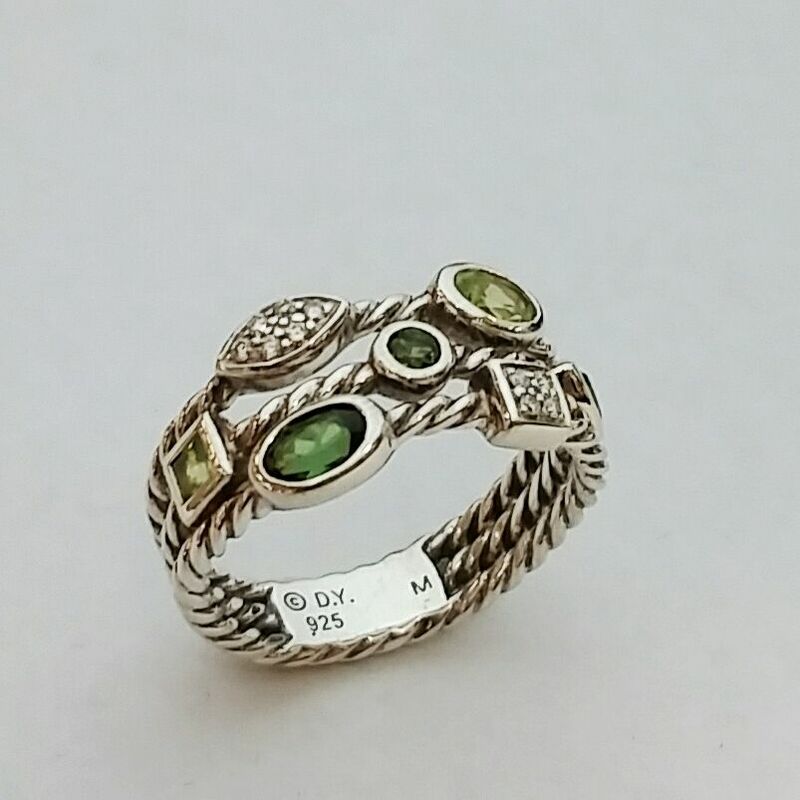 Buy here $795. 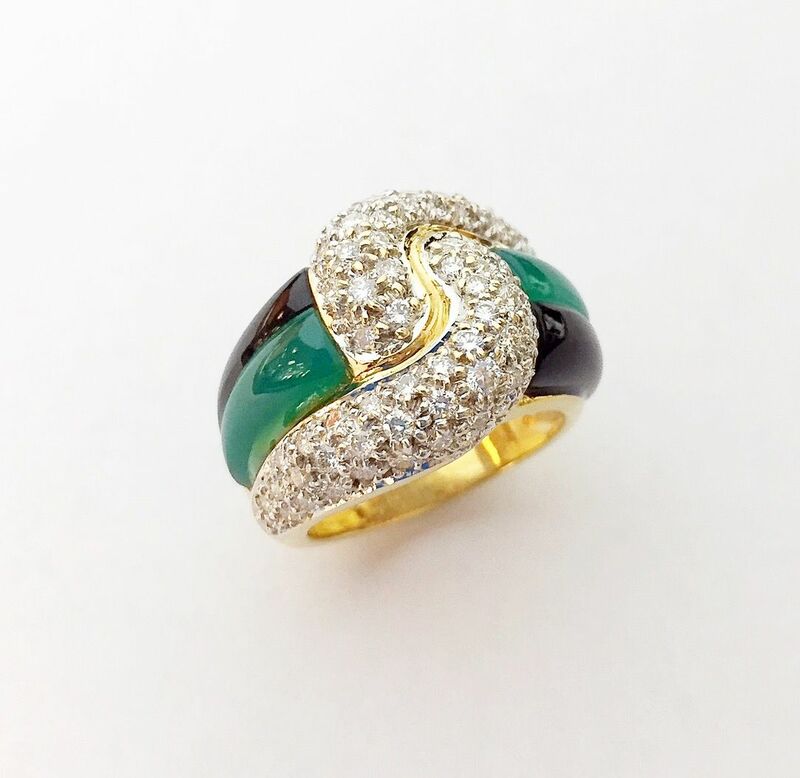 David Yurman confetti ring with peridot, tourmaline, and diamonds. $455. 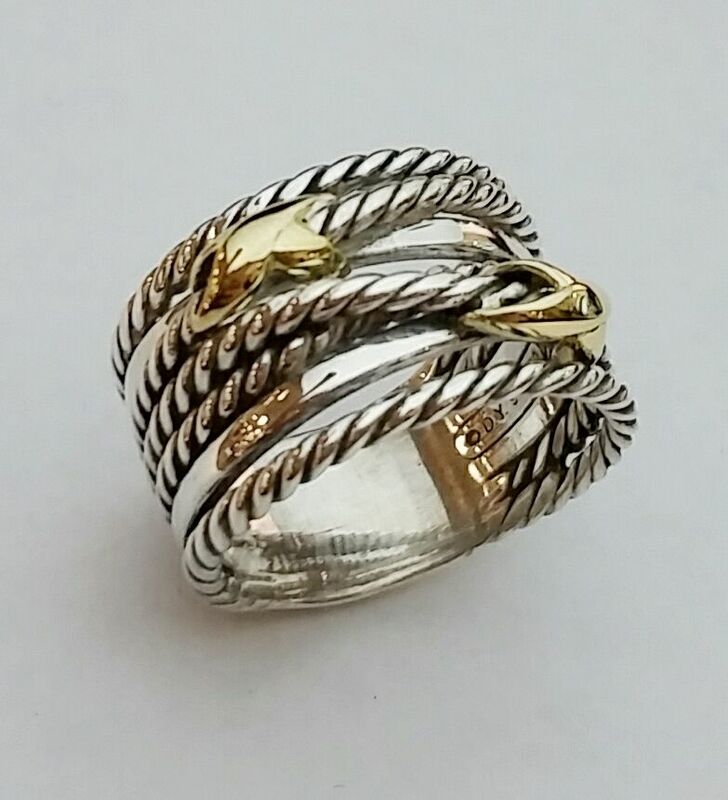 David Yurman diamond crossover ring $445. 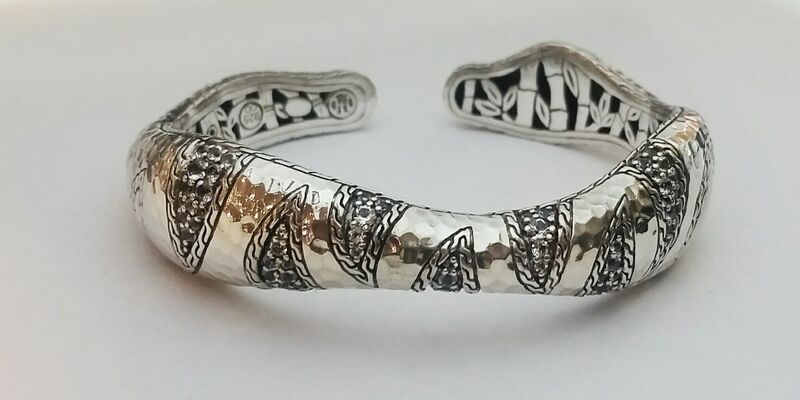 white sapphire cuff for $545. 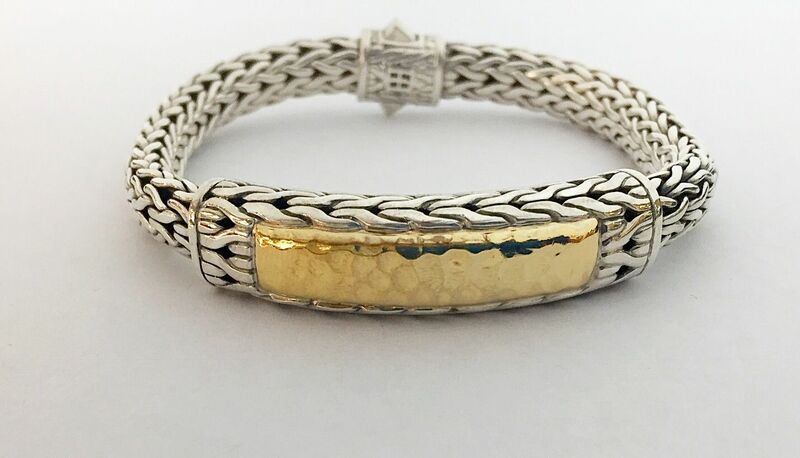 John Hardy sterling silver and 18ky gold bracelet, 8 inch. $745. 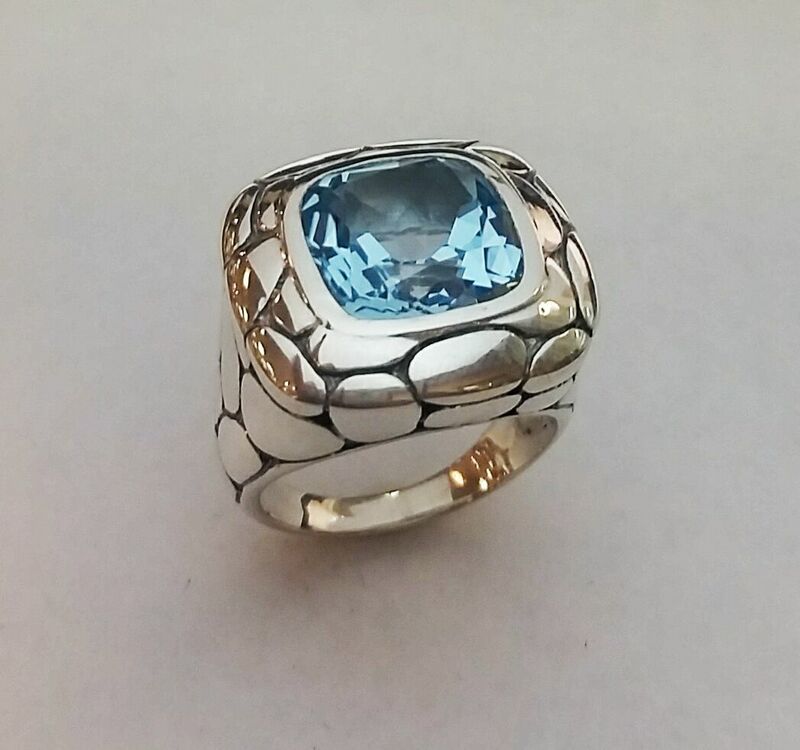 John Hardy Kali blue topaz ring. $445. 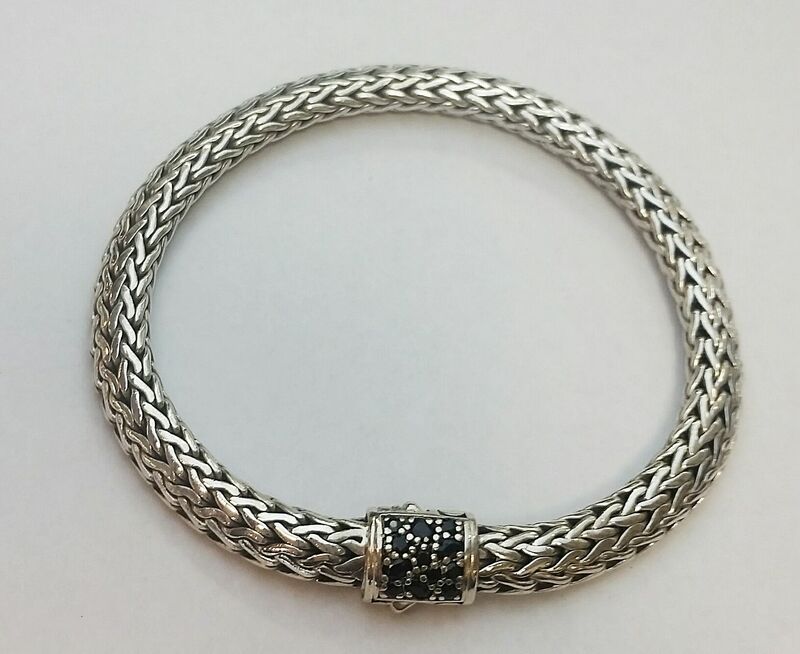 John Hardy black sapphire lava bracelet, 9 inches. $395. 30% to 70% off of retail. You can now shop online on our new website. 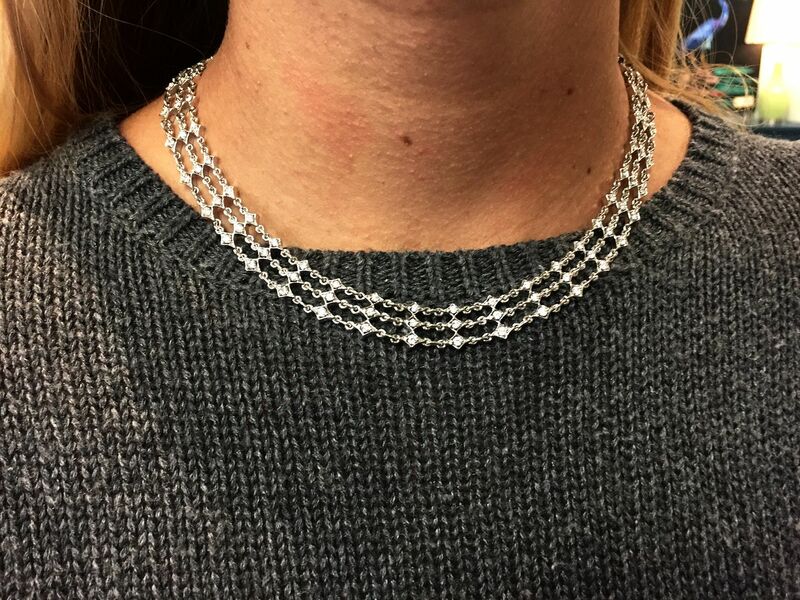 in stock items of Tiffany & Co.
VS2 clarity G-H color, 2ctw diamonds set into a three strand 14kw gold 63 gram necklace, 16 inches. $7,995. 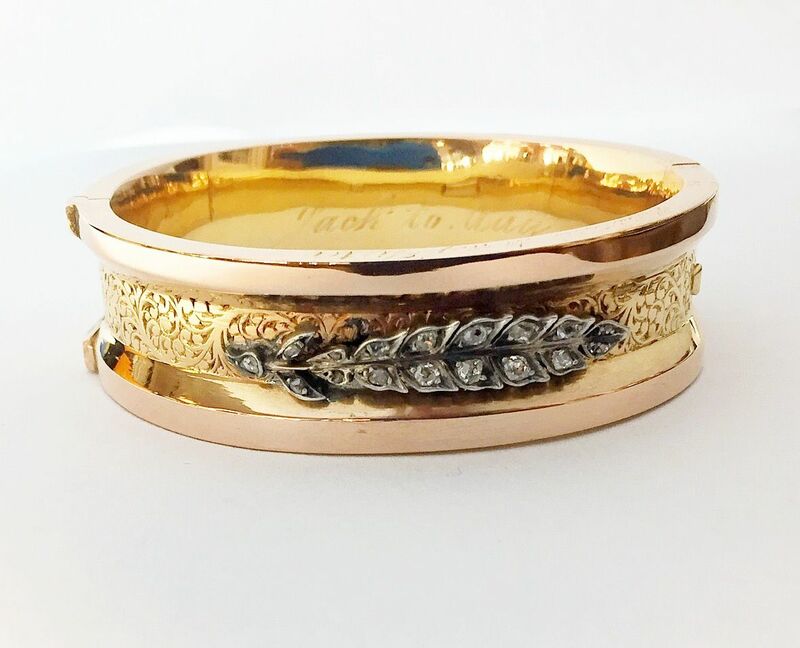 2ctw 18k rose gold and white gold eternity band set of 4, size 6. $2,995. 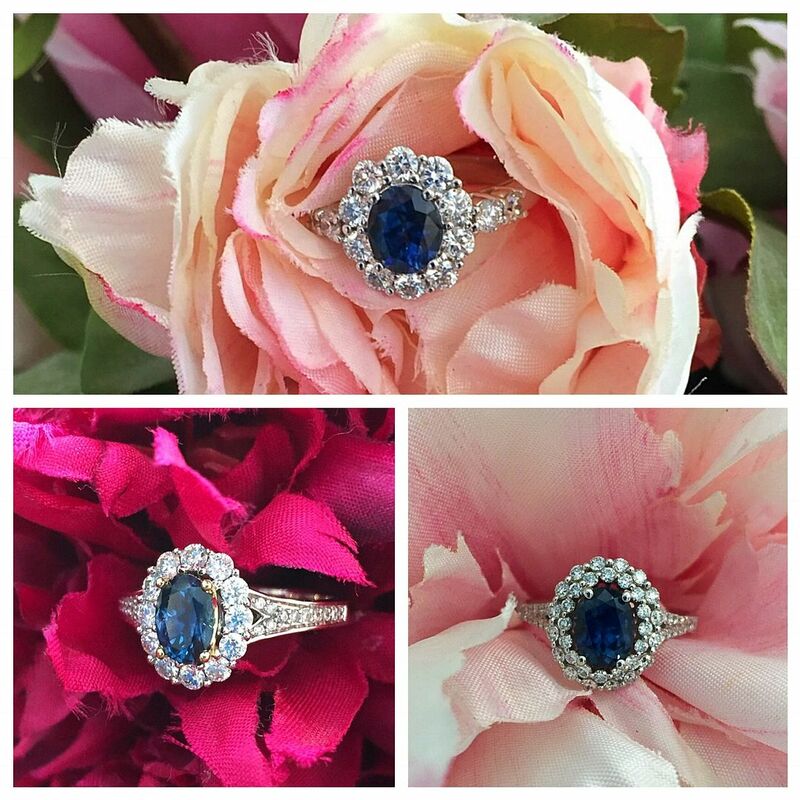 What’s better than a blue sapphire? One that is from Montana. Why buy a sapphire from Montana? 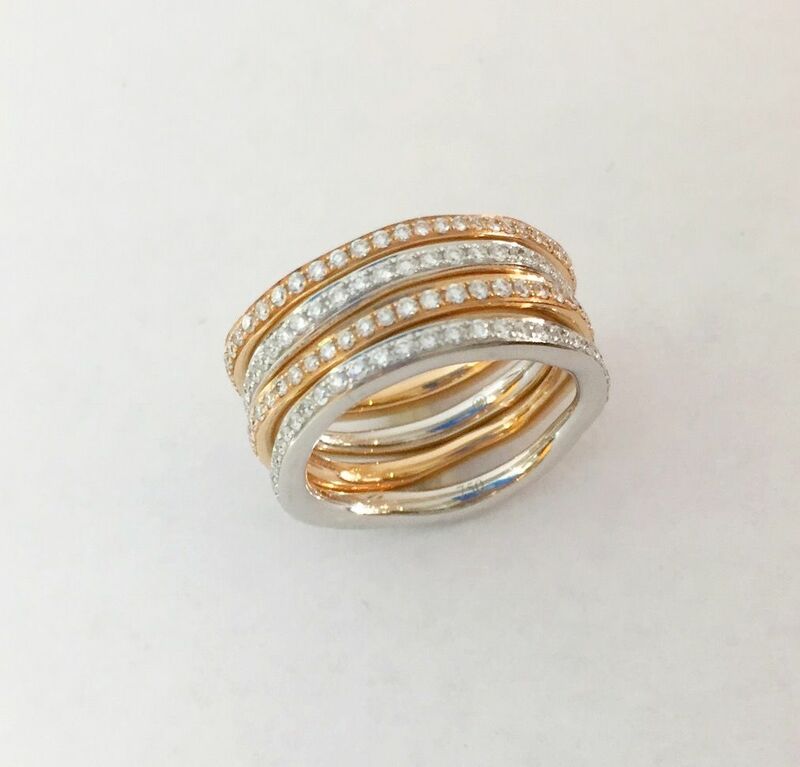 All of these rings here are set with VS/SI diamonds in 18kw gold. Top: 1.48ct oval Montana sapphire $6,595. Bottom: (left) .91ct Montana sapphire $3,745. (right) 1.26ct Montana sapphire $4,195. in all price ranges and styles. 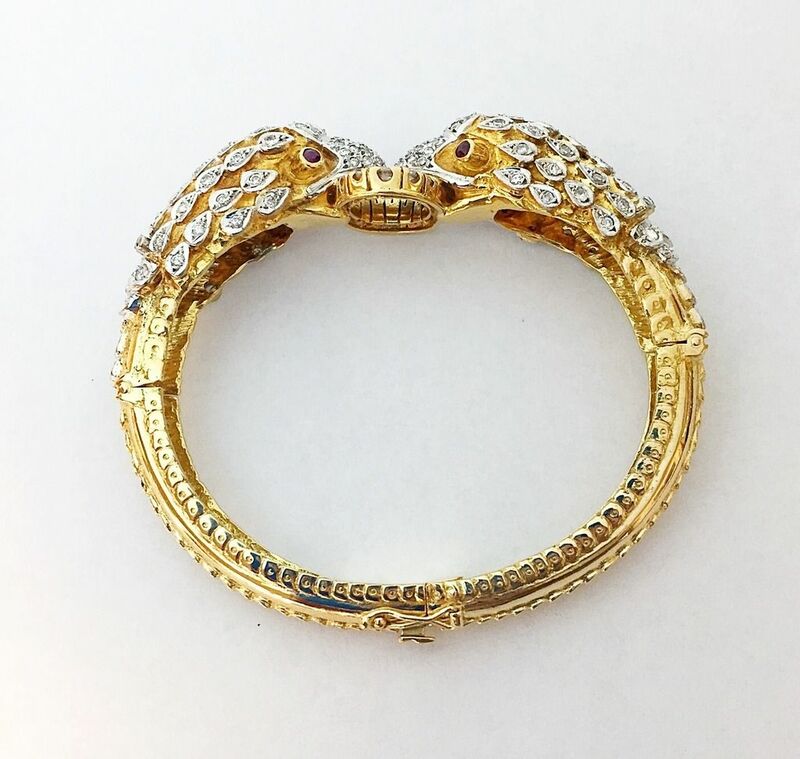 This Allison-Kaufman Co. unique bracelet $3,995. 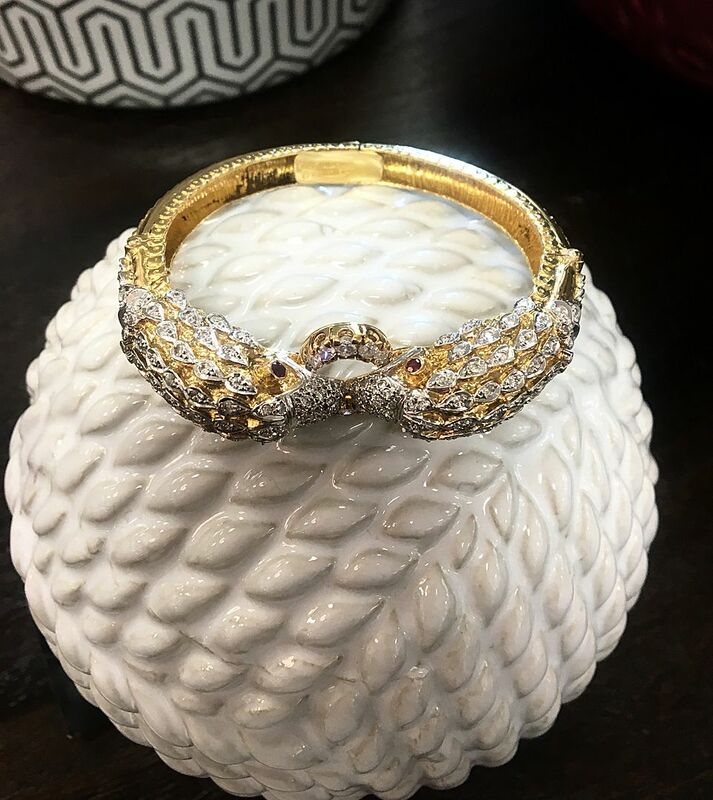 Click on this picture below to see all of the different diamond bracelets that we have in stock. 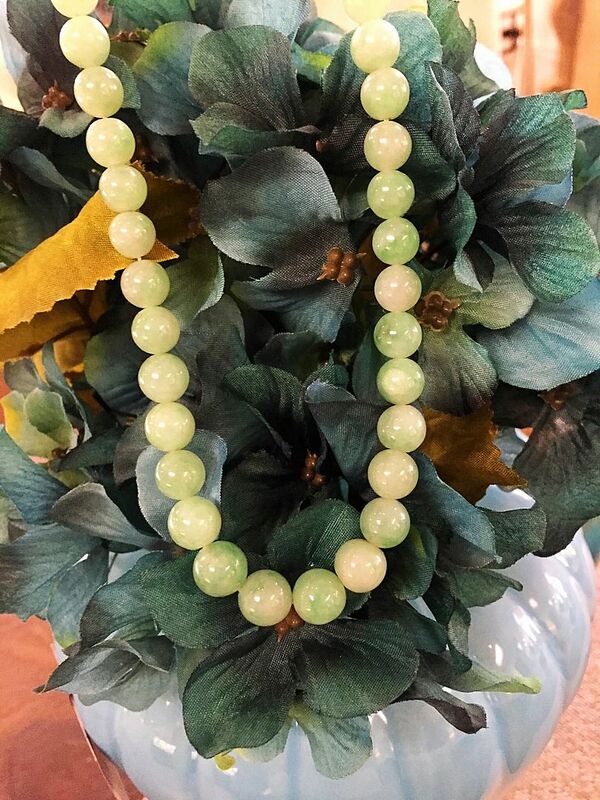 Natural 7.5mm to 9.5mm natural jade beads with a 14ky gold clasp, 18.25 inches. $995. Take your pick for only $95 each. 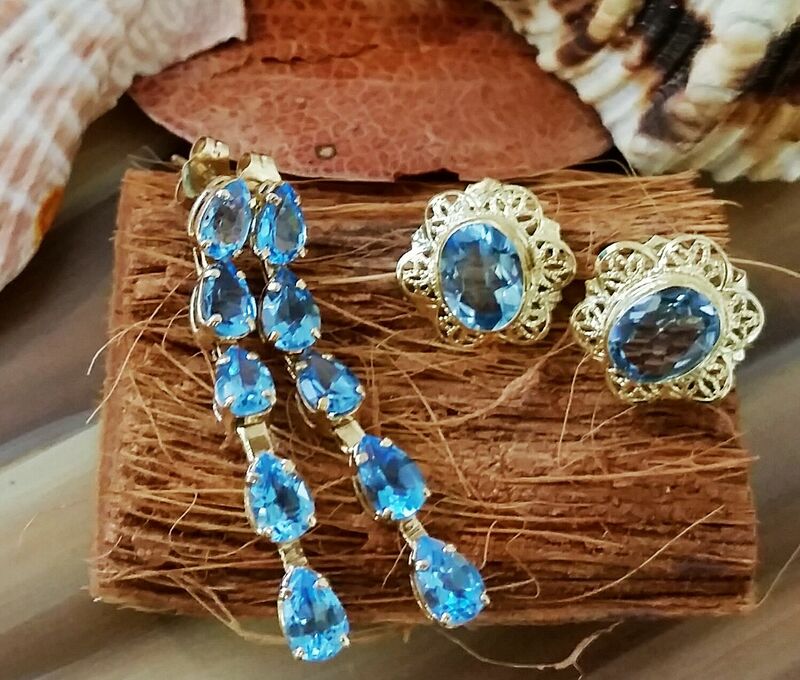 Blue topaz and 14ky gold earrings. Stock up for every occasion with these BIG BUYS. 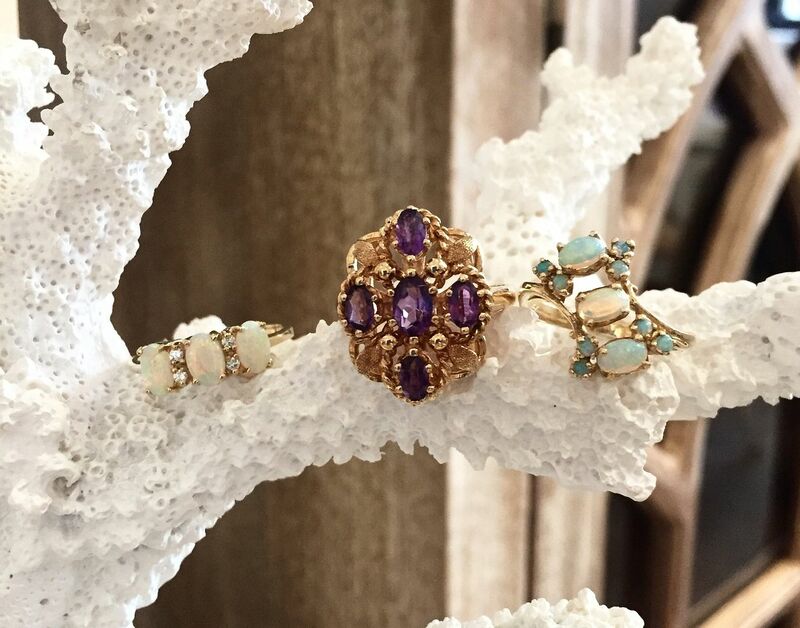 14ky gold rings with opals or amethyst $295 each. 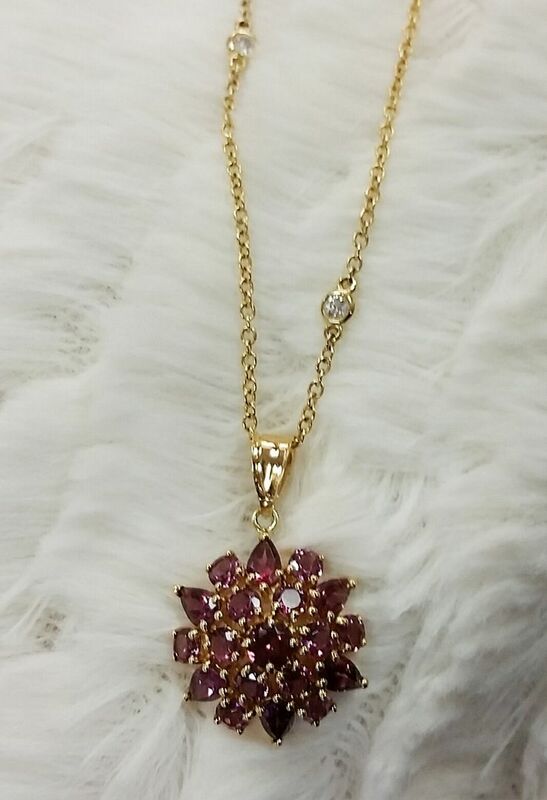 Rhodolite garnet 14ky gold pendant. $195. Diamonds by the yard in 14ky gold, 18 inches. $825. 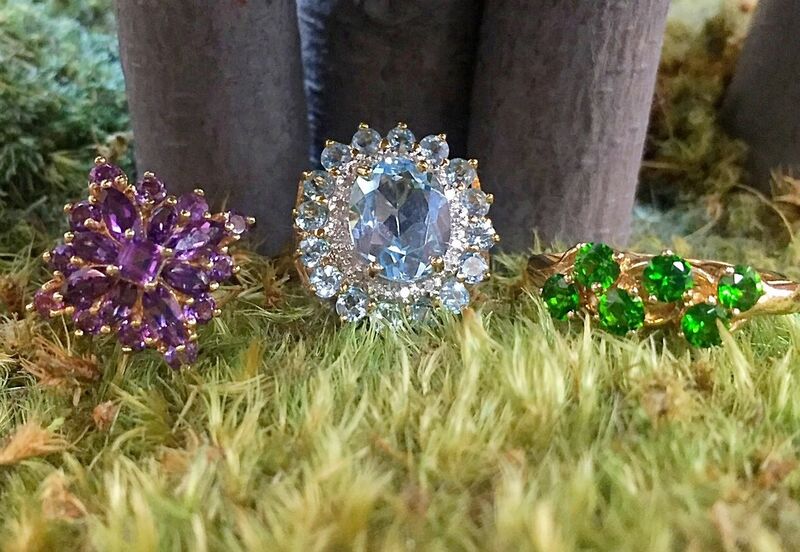 Unique rings pictured left to right: amethyst, blue topaz, tsavorite garnet set into 14ky gold. An affordable $245 each. inlay set into 18ky gold. $1,495. 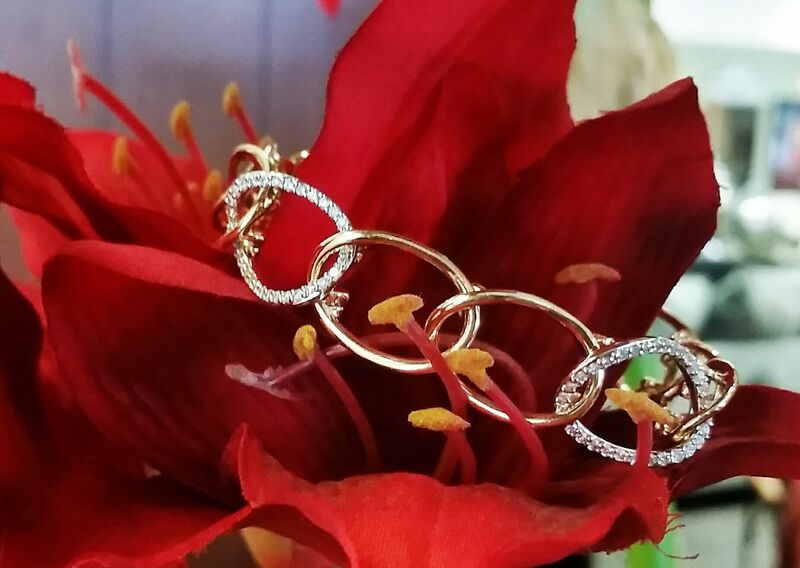 Smaller size wrist .25ctw diamond rose cuts set into silver and set onto a 3/4 inch wide 18ky gold locking bangle. Etched on the side “presented to my sister”. Engraved inside “Jack to May” which can be removed if you like. $2,395. 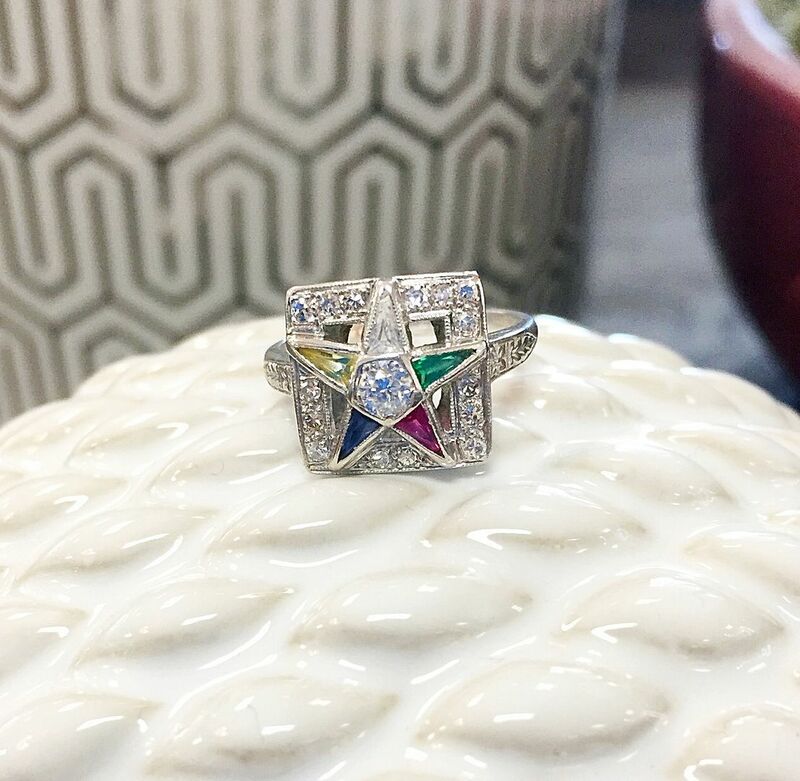 An antique eastern star ring with a .25ct center diamond with emerald, multi-sapphire and ruby star gemstones with .20ct diamond accents set into platinum. $595. 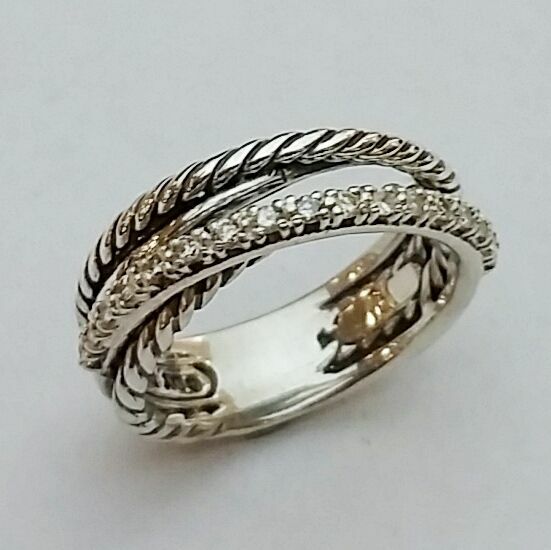 2.50ctw diamond ribbon 18kw gold ring. $3,995. 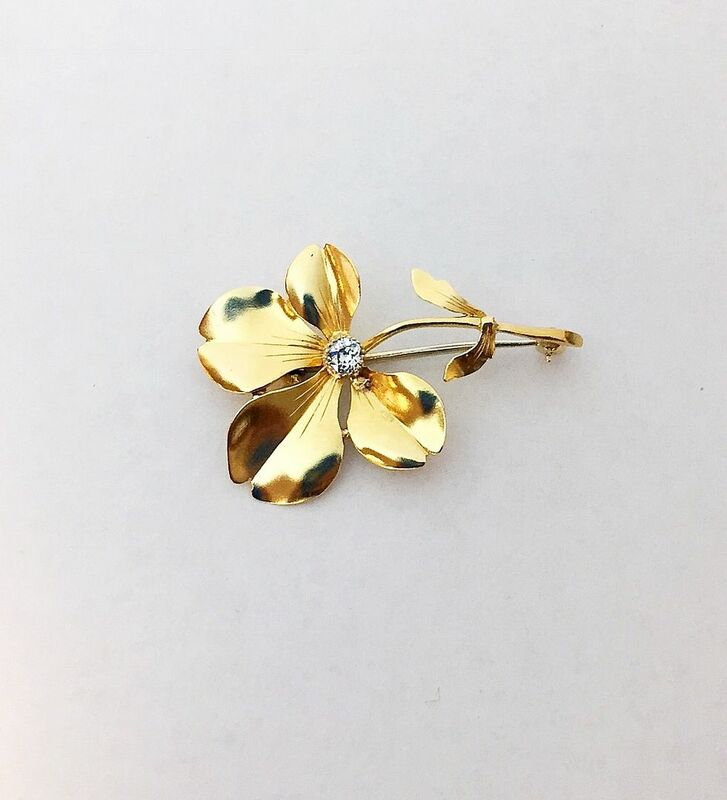 brooch with a 9ky gold pin. $295. 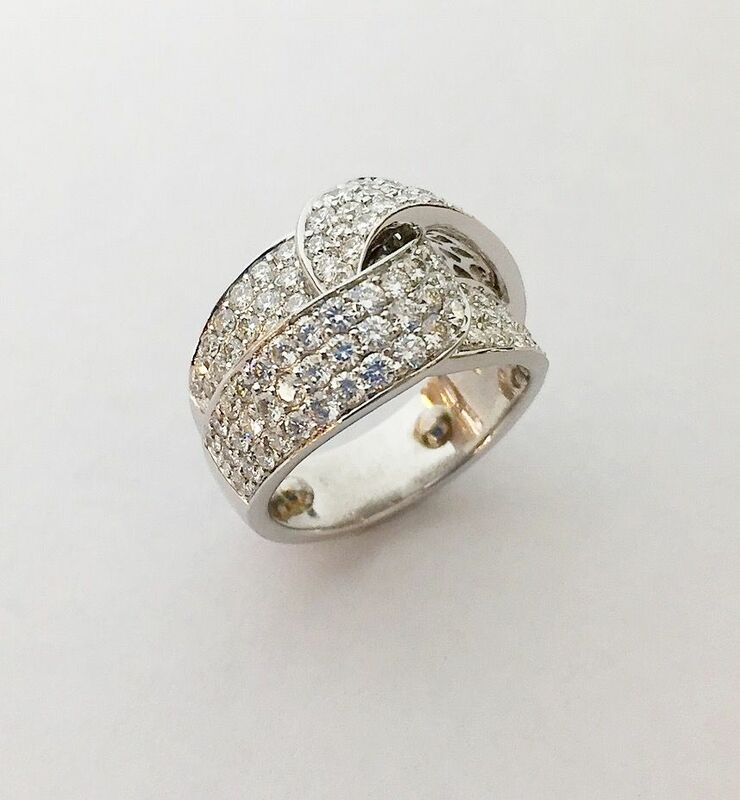 You can’t go wrong with this 1.31ct round brilliant VS1 clarity J color (sparkles white) set into a 14kw gold ring for only $7,995. Thanks for reading our email. all dining and barstools are 10% OFF this weekend!